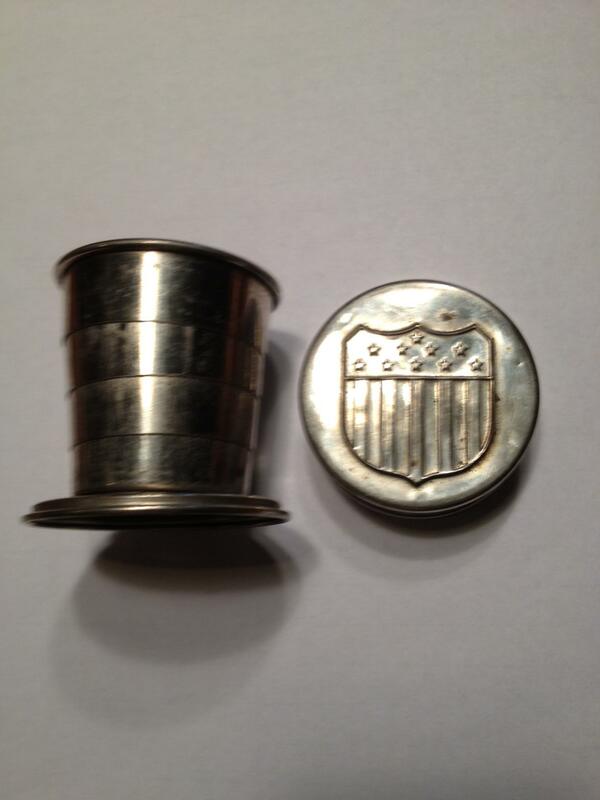 I picked up the collapsible whiskey cup from a collection in Franklin Tenn. This particular cup has the Union Shield on the lid. This cup was carried and used by both Union and Confederate Officers.